Add to ItineraryAdded to itinerary, book now? Skippers Canyon is a stunning back country area, the 4WD road we use was carved out of the mountains by miners over 125 years ago to access the Shotover river for gold mining. 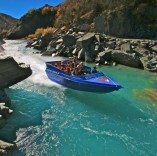 These days it is a thrilling drive to the Shotover river for Jet boating. Australasia’s Highest Bungy with a 134m (440 feet) drop and 8.5 seconds of freefall the ground rush is like no other. Facing your fears by standing on the edge may be the greatest personal challenge of your life. Getting there requires a 40 minute drive including 4WD through a high country sheep station, followed by a breath-taking ride out to the Bungy Pod in a cable car. The ultimate adrenaline experience. 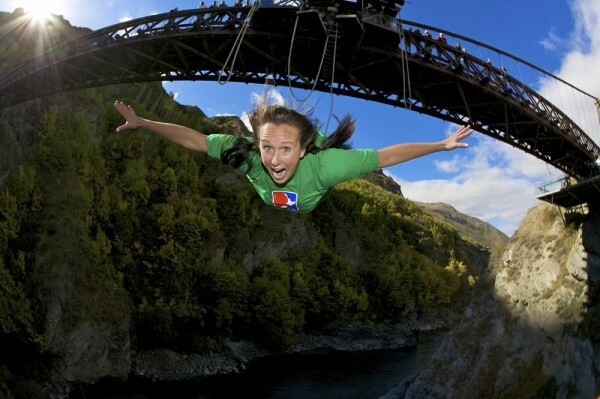 The World’s Biggest Swing and one of Queenstown’s latest thrill, located next to the Nevis Bungy. Forwards, backwards, alone or with a friend, you will be suspended high above the valley floor and be released! Experience a massive rush of adrenaline as you find yourself accelerating through the valley at mind blowing speeds in a 300m Arc! Guaranteed to blow you away! Tandem Skydive with NZONE Skydive in Queenstown or Rotorua and see some of the most dramatic scenery in New Zealand, from 15,000ft! 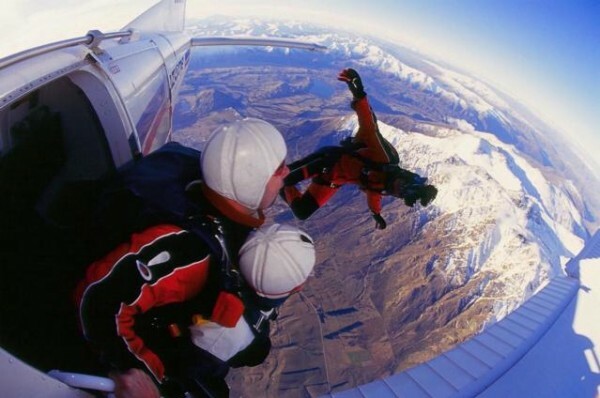 NZONE were New Zealand's first tandem skydive operation, starting out in 1990. Now celebrating 22 years of skydiving, with 2 locations throughout New Zealand, NZONE are the only tandem skydive company to have been awarded the Supreme Tourism Award. With over 200,000 tandem jumps to-date, NZONE also run XLR8 Go Solo courses so you can learn to skydive solo. Have our freefall photographer jump with a camera & video on their skydive helmet and take home the most comprehensive photo pack in New Zealand! Photo packs contain CD of high resolution photos, DVD video, 20 large printed photos, 7 personalised postcards, jump certificate and online access to upload photos onto the internet. Check out the contents of the Photo Pack. Home of the world’s first and most famous of leaps, this 43 metre Bungy Jump is still the most popular Bungy site attracting thousands of thrill-seekers every year. Attached by your feet, you can choose to bob above the water, touch it, or be fully dunked. 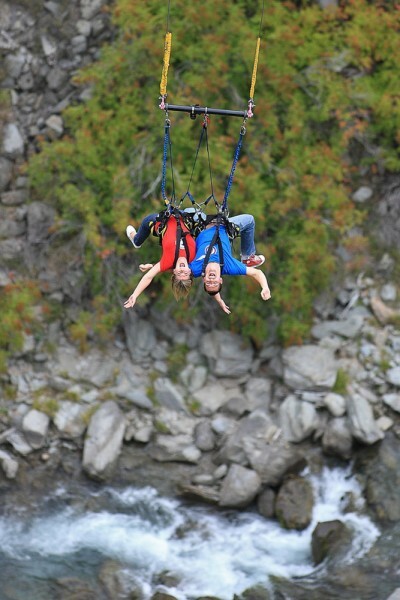 Share the thrill - it’s the only place in Queenstown where you can Tandem Bungy! 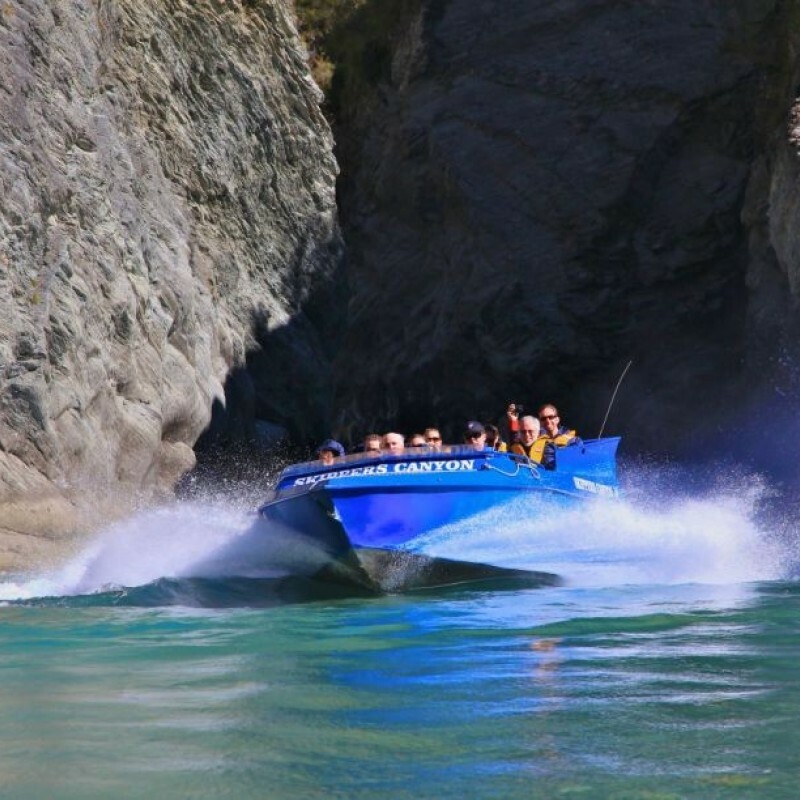 Located on State Highway 6 at the gateway to Queenstown, it’s an essential component of every New Zealand visitor’s itinerary. 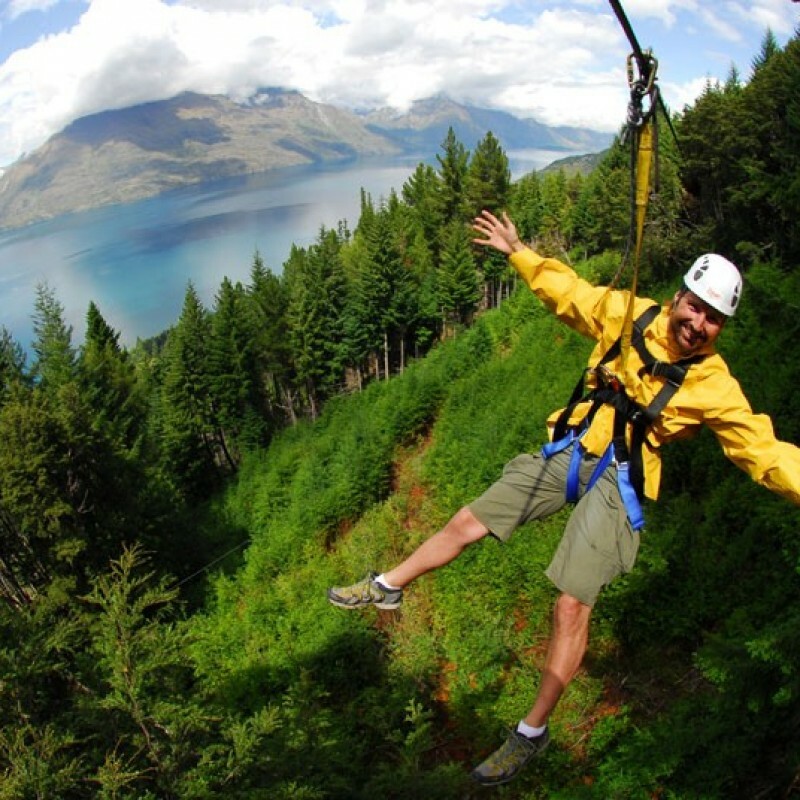 Queenstown has a new claim to fame - the world’s steepest tree to tree zipline. 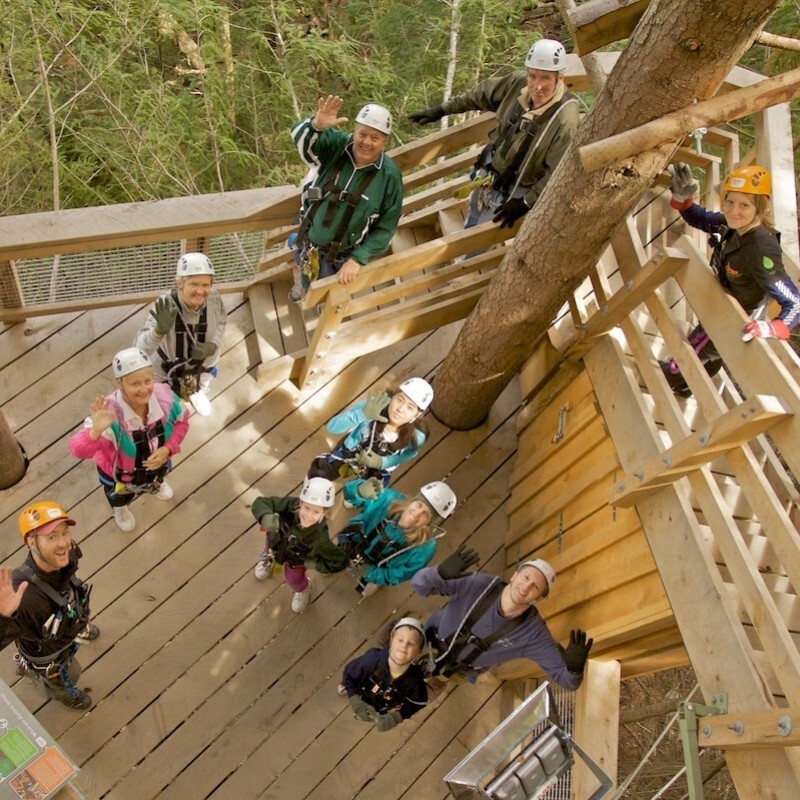 Ziptrek Ecotours is an exhilarating zipline adventure on Bobs Peak allowing zippers to fly all the way down the hill. Ride up the Skyline Gondola and then glide through the treetops on a series of ziplines with spectacular views of Queenstown. Choose from the Moa 4-Line Tour (2 hours) which is family-friendly and great for groups or the new adrenalin pumping Kea 6-Line Tour (3 hours) which takes you down a steep incline at speeds of up to 70km per hour. Experienced guides deliver an educational tour as you breathe in pristine mountain air on a carefully crafted journey that combines exhilaration, adventure and stunning lake and mountain views. Ziptrek Ecotours runs all year round and is stunning whatever the weather. 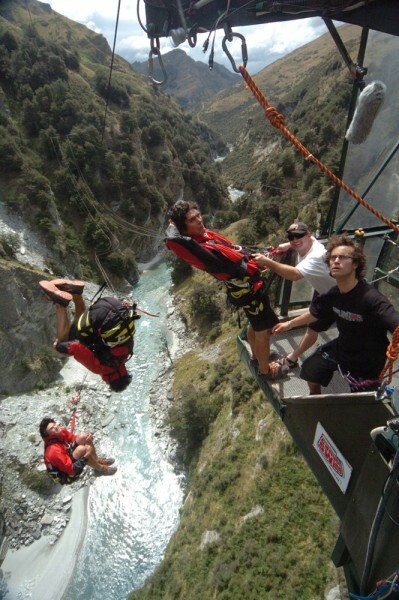 Shotover Canyon Swing is an intense, undie staining, adrenalin stimulating activity achieved by launching yourself from a 109m high cliff –mounted platform. 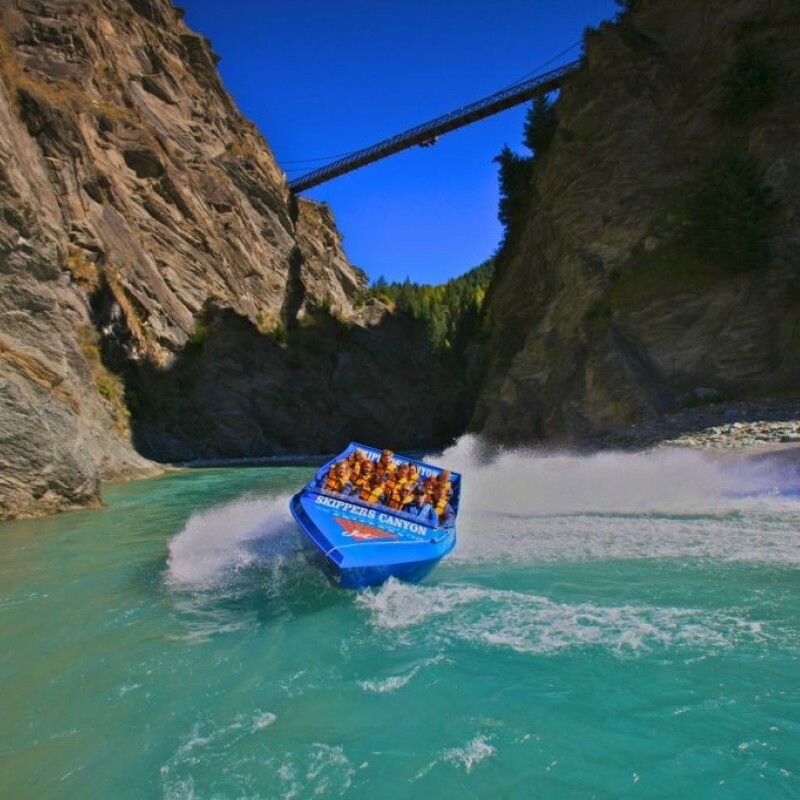 You’ll reach speeds of up to 150kph as the rocky cliff face rushes past you in a 60m vertical freefall, the ropes then smoothly pendulum you into a giant 200m swing across the famous Shotover River. There are two basic launch methods: jump yourself or be released from our special launch boom. Our chest and seat harness allows you to depart the platform anyway you desire, limited only by your imagination. With over 70 different solo and tandem jump styles we can expertly manage the scariness for everyone – from knitting nana’s to adrenaline junkies, we have the style for you. 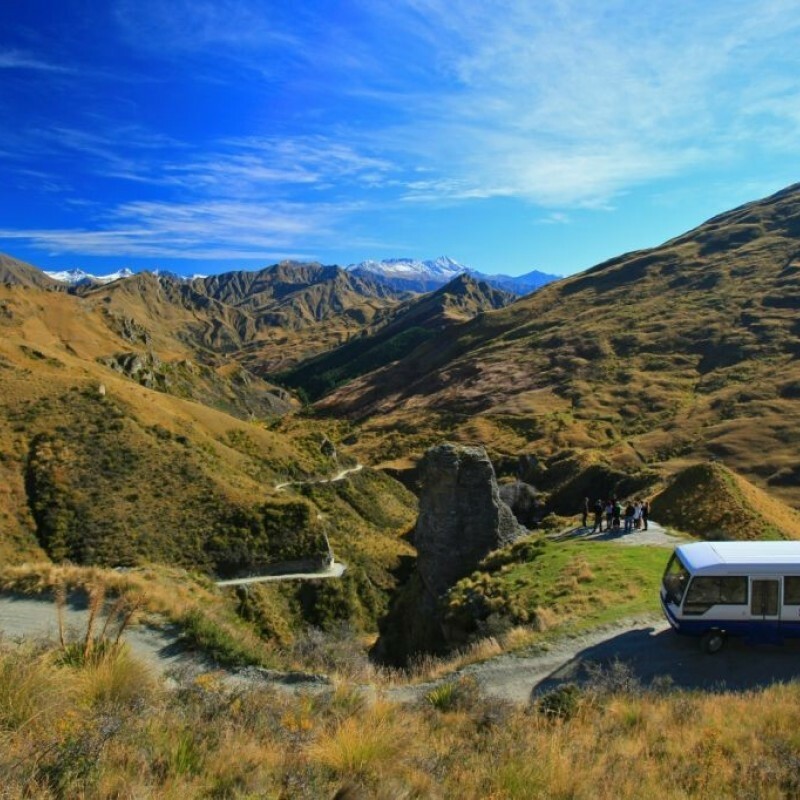 Located only 15 minutes from Queenstown the total trip is 2.5 hours. There is no rushing, it’s all about you and there is often time for more than one swing. Shotover Canyon Swing is a multi-award winning activity. 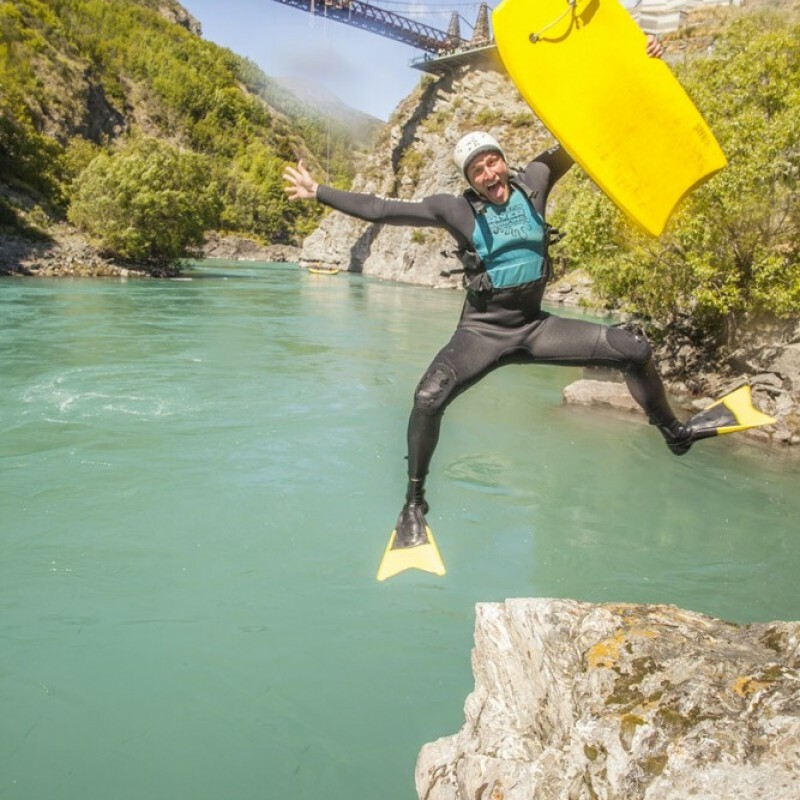 Winners of the New Zealand Tourism Award Adventure Category; the Supreme Humour In Business Awards 2007 & 2008: and voted Best Activity in NZ in 2007, 2008 & 2010 Australasian Golden Backpack Awards. It is also Outdoors Mark certified, Qualmark Endorsed and Enviro Bronze Accredited. Gravity is a toy, come out and play. Skyline Queenstown is home to New Zealand’s only Gondola assisted bike lift, providing direct access to Queenstown Bike Park. Ride more with over 12 world class mountain biking trails and varying terrain for all abilities. In amongst the pine trees of the Ben Lomond Reserve, Queenstown Bike Park boasts over 30km of tracks and a longest run of 6km. A 450 metre vertical rise via the Skyline Gondola gives riders easy access to arguably New Zealand's best mountain bike park. Skyline Queenstown offers a range of Gondola assisted bike passes, from half day to multi-day passes and season passes. Grab yours today, passes on sale now! 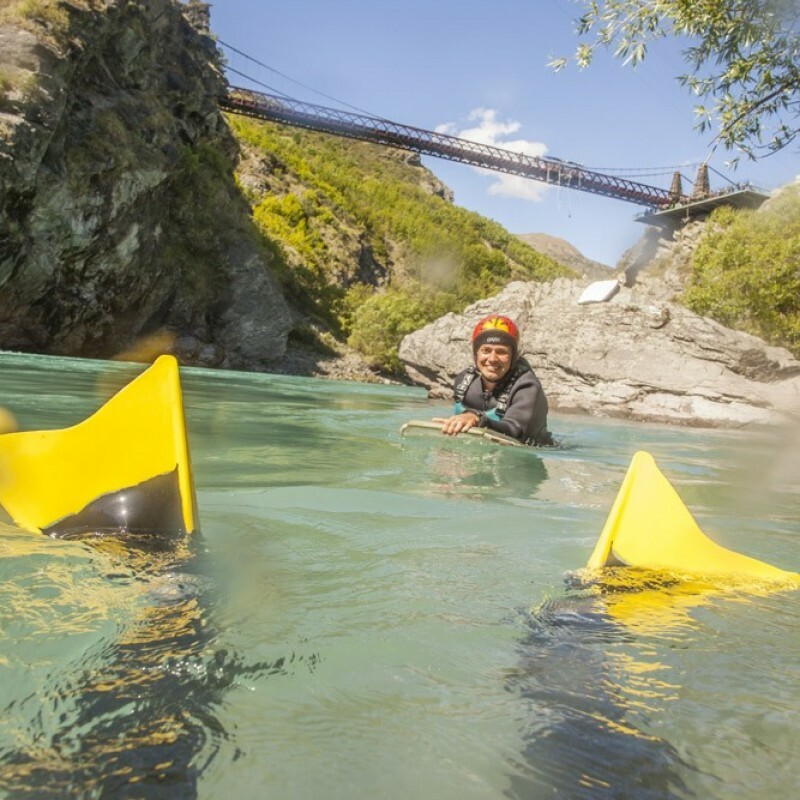 Queenstown is the birth place of Riversurfing and Serious Fun pioneered it back in 1989. In the summer of 1987, Jon Imhoof, a surfer from Hawaii, had to think up a surfing alternative after a short trip to Queenstown turned into a longer stay. He took his bodyboard down to the Kawrau River and started surfing the rapids. Join our personalised trips lead by the world’s best trained and qualified guides. 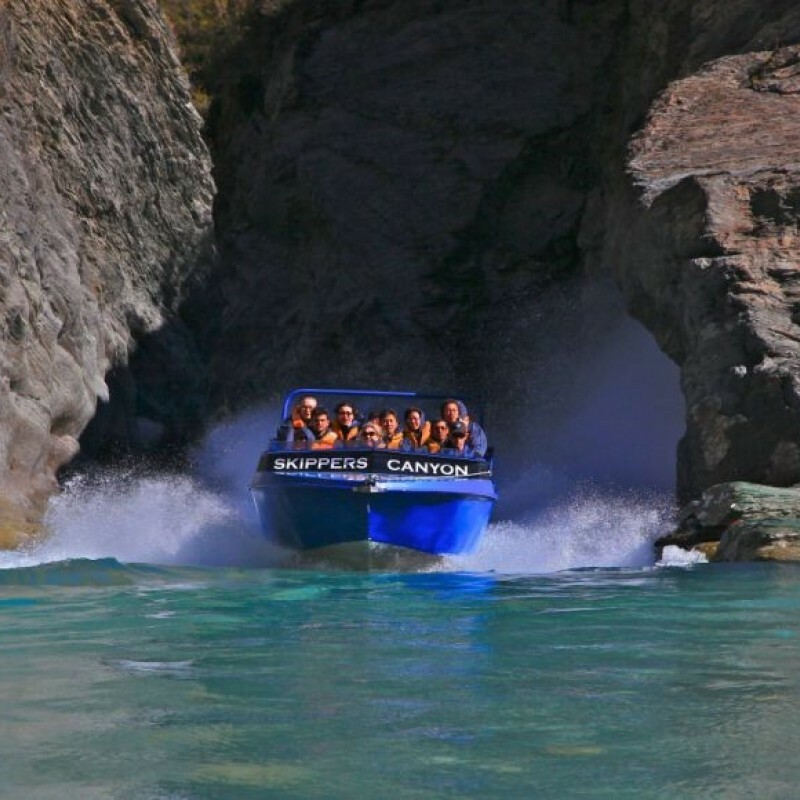 Surfing standing waves, riding whirlpools, squirting, playing on eddie line as trying some wicked rock jumps are only some things you will do during this epic Queenstown activity. 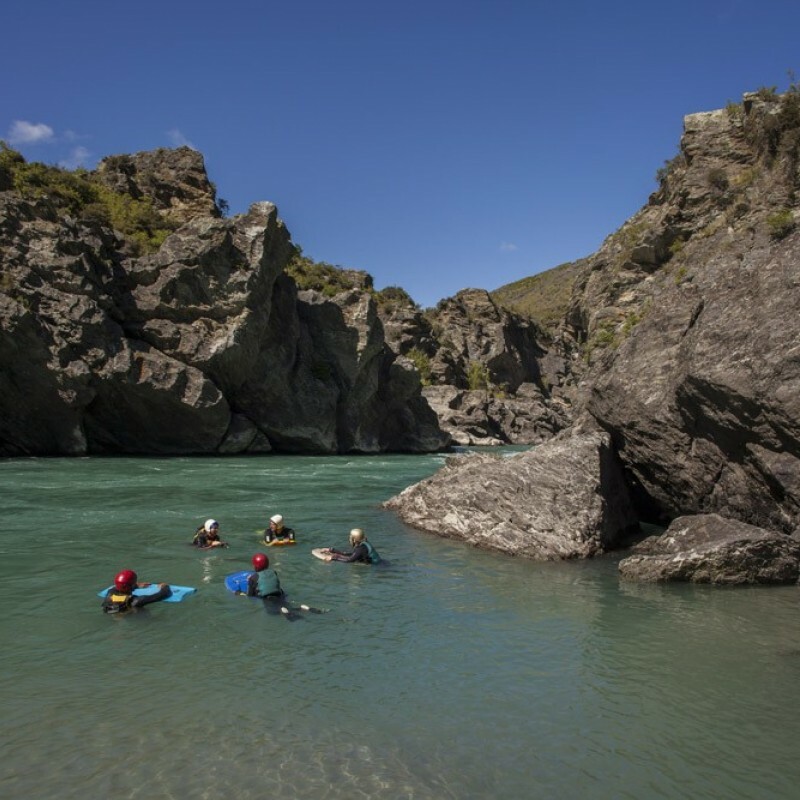 Operating on two sections of the historic Kawarau River – The Chinese Dog Leg and the Roaring Meg, we will choose the best section on the day based on water level and the best rapids. Blessed with many different features, the trips will blow your mind with their beauty and intensity. 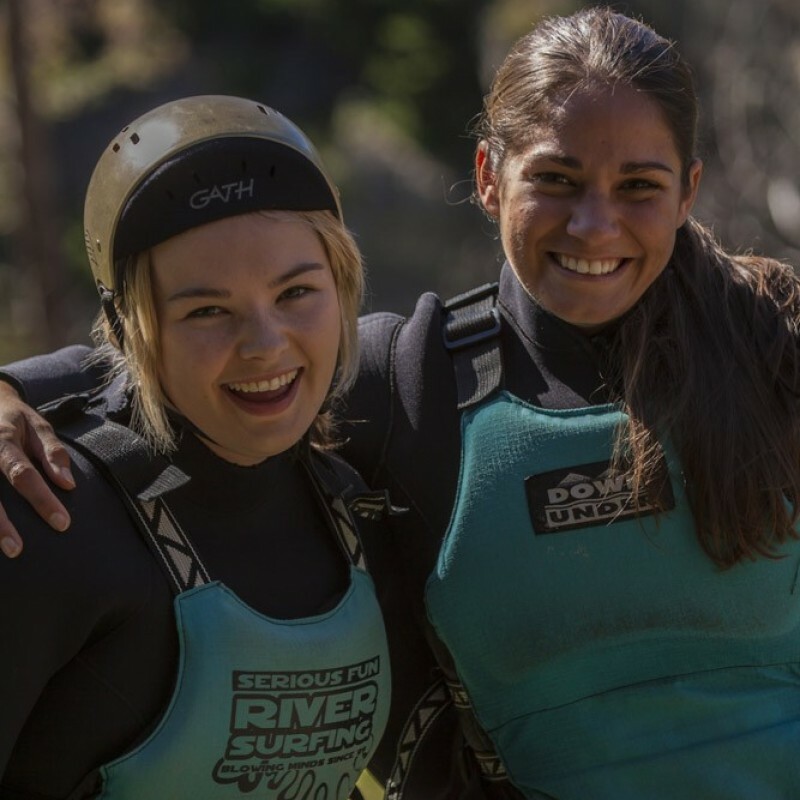 Pristine waters, sheer drop cliffs, fast flowing rapids, and wicked rock jumps will challenge your nerves and keep you amused for an entire morning or afternoon. We must have one of the best paintball locations in the world. The imposing Remarkable mountains on one side, cornered by Lake Wakatipu on the other, really setting the scene for your paintball adventure. 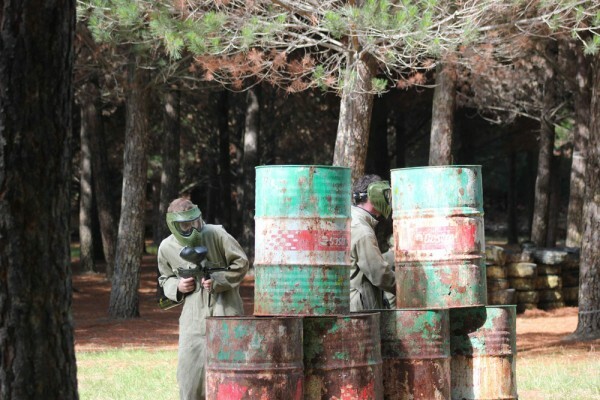 At Queenstown Paintball offer fun for the whole family or settle the score between mates experience. Combining teamwork, strategy and quick thinking. A multitude of game scenario’s offer a thrilling action packed experience. Try night paintball (during winter) for the most intense paintball experience. We’ll equip your team with paintball guns with a barrel torch, overalls, and an anti-fog mask then send you into battle. You’ll sneak through the forest, hunting out your prey. When you are hot on your enemies trail, switch on your torch and fire! But be warned – a bright torch in acres of darkness stands out like a sore thumb so don’t keep it on too long, or you’ll become the target! We are so confident you’ll have a great time with us, we offer a money back guarantee! Come out, give Queenstown Paintball a try and if you don’t like it within the first 10 minutes, we’ll refund your money! If you're keen for some extreme action this summer you're in the right place… get ready to become the Canyonator! 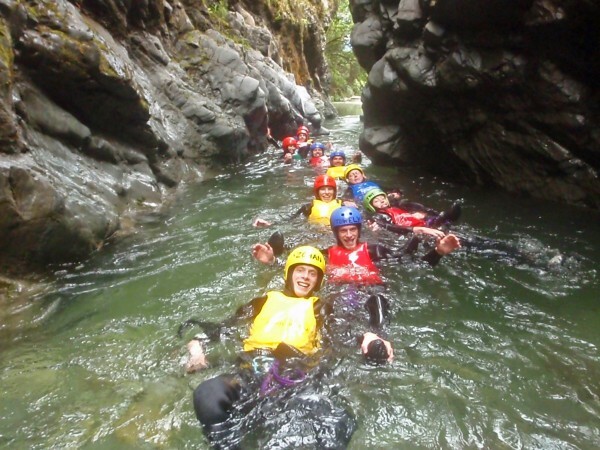 Jump, slide, swim, abseil/rappel, and zipline through some of the most spectacular natural settings New Zealand has to offer. Check out our website, select one of the stunning canyons, and join us for an experience you'll never forget! Canyoning.co.nz offers 3 different canyoning locations, from a half day in the Queenstown Canyon, suitable for beginners and people with less time, even those who cant swim, to the Routeburn Canyon with long zip lines and more technical jumps, perfect if your looking for a challenge and you have a full day and our newest canyon Mt Earnslaw Heli Canyon, experience required, this canyon helps you get in touch with gravity, massive abseils and the best in canyoning scenery, there really is something for everyone! !